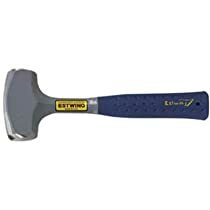 In response to the question below, there is only one tool you need to work on computers: a hammer. Not just a hammer, a big hammer. One that gets the job done in one swing. Like this one. All kidding aside, my selection of server room tools can be found here. Most servers are designed to require few, if any, tools for service, so most of what I think is essential is for cabling and such.